Add to Cart . . . Win*Star 6.0 is the product of nearly 35 years of development. 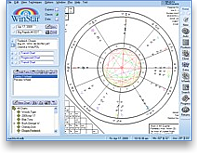 No other astrology software is as complete or as well thought out as is Win*Star 6.0. This program is the result of our own programmer/astrologers working worldwide with thousands of other astrologers who were using our software. Without this critical collaboration and feedback from people who were actually putting our software to the reality test every day, Win*Star 6.0 would be just another piece of astrological software. Win*Star 6.0 includes Searches, performed by the new Matrix Search Lite. – This highly advanced module is light years ahead of the old Searches program. You can search, against fixed stars or any defined point, for transiting house cusps, etc. 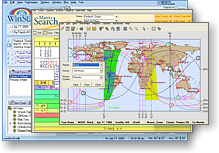 Win*Maps, powered by Horizons Lite, can plot in En Mundo, Geodetic, and Zodiacal, as well as along rising lines, setting lines, zenith lines and/or nadir lines. You can also plot aspects, midpoints, local space and parans. Win*Star 6.0 is available in three different levels: Standard, Extended, and Professional. You can choose the level that best fits your needs. Win*Star 6.0 is a complete astrologer's toolbox for people who refuse to settle for anything but the best. Click here for a complete list of Win*Star 6.0 features. 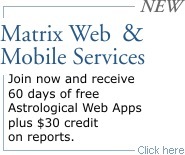 This is a wonderful new version, for Windows 7, of our best astrological software. If you are familiar with Win*Star Plus, you will find that program's excellent calculation power updated here, and all tools expanded. More tools, more options – all the power a professional astrologer will need. This program includes easy-to-use one-click quick tools, two chart display, Designer Wheels, and much more. 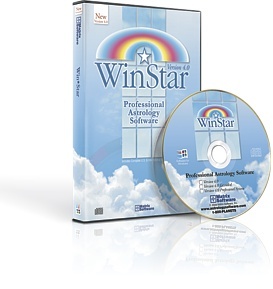 Win*Star 6.0 Professional contains the same calculations and tools that the Standard and Extended versions do, but also includes three additional complete programs: Search, Mapping, and Calendar. Win*Star 6.0 requires a computer with Windows 7, 8, or 10. Witt 32 MB RAM memory or more, and 400 Mb hard disk space. Also compatible with either 32 bit or 64 bit operating system. Win*Star 6.0 also runs on Mac computers with Windows Operating System installed. Available Hard-Drive space 400 Mb free. Win*Star is the product of nearly 35 years of development. 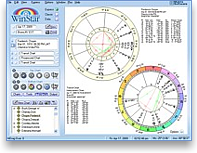 WinStar is a professional astrology software package!